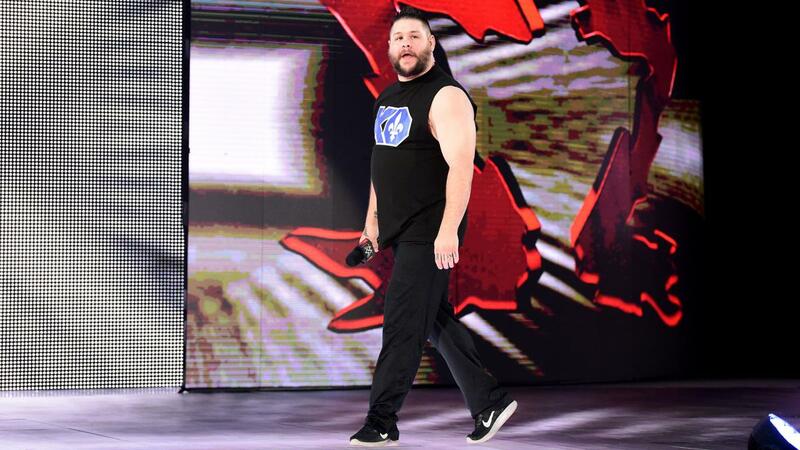 Andy Miller: Don’t make me make you the John Cena to my debuting Kevin Owens. Nick Bond: You mean, where you botch the promo and look all stupid and Canadian and stupid in your gym outfit? Andy Miller: Isn’t stupid and Canadian a BIT redundant? Nick Bond: #HeyNow #ShotsFired No, but seriously, this conversation is mostly going to be about whether Kevin Steen, er, Owens is THE future, or part of the future for the WWE. Where do you stand? Andy Miller: I’m pretty high on Owens. He works a body-safe style, he cuts a believable promo, and he “gets it.” But he’s more Edge than Cena. A top hand, but not THE hand. Nick Bond: See, I disagree. He’s like Stone Cold Steve Austin to me: he just feels different in a way that’s kind of hard to put your finger on. I think it’s at least partially because his hatred — sorry, Vince — of John Cena seems genuine. Or, rather, it comes from a real place. Andy Miller: That goes back to what I said about him being believable. The guy talks how people talk… and it makes it a lot easier to buy into what he’s saying. It doesn’t sound like he’s reading “sufferin’ succotash” lines that he had to practice all day. Nick Bond: Exactly. He is palpably real. That dude is, in my VERY limited experience dealing with him, is essentially just a nicer version of who he plays on television. In fact, the experience I’ve had — he was unhappy with edits I had made in a profile on him, and made it clear in a very professional(ly scary) email he sent me — is what made me uncomfortable watching him when he first joined the WWE. But, man, was it worth getting over that, because he is doing the Lord’s work. Has anyone ever come close to his first 100 days? Andy Miller: Maybe Brock? Which would be a little bit of a coincidence, considering Owens was using the F5 for a while on the indies. Nick Bond: Which, more than anything, even the realness, is his real calling card: he does every move in the book, and looks good doing them. He’s just everywhere he needs to be whenever he needs to be there. Andy Miller: It’s Orton-esque. We’ve discussed how Mr. RKO is just able to move in ways people shouldn’t be able to move, especially when you consider he’s a mountain of a man. 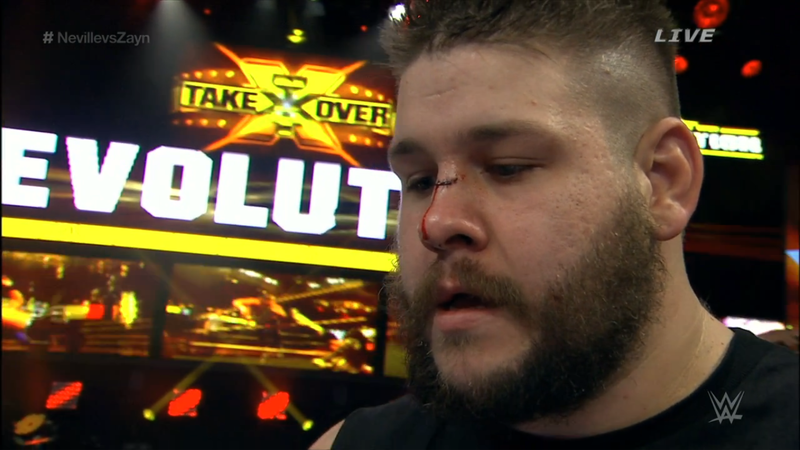 Owens has “that” …whatever “that” is. Nick Bond: Complete spatial awareness, I think is the technical term. He also has the John Cena “feud in a can” thing. He can pick a fight with anyone, and have it make sense. Andy Miller: I think my favorite thing with Owens, aside from how good he is, is his whole look and presentation. Mark Madden once said he looked like a fan who won a contest, instead of a superstar…and I think that’s a big part of his appeal. He looks like some guy you’d run into on the street, you knocks you out for hitting his car when you opened your car door. Nick Bond: YES! (YES! YES!). He looks like a dude that would actually try to fight you over something, and then, after he was done kicking the crap out of you, would just go about the rest of the day pissed off. Having grown up on Long Island, we both knows a lot of guys like that. Andy Miller: To say the least. Nick Bond: Obviously the future is bright for him, but what comes next? Is it a Sami feud? Or do you think he just jumps right in with Cesaro? Does he pick a fight with Lesnar? Andy Miller: Well, luckily, there are a lot of top faces for him to work through. I can see him working guys like Ambrose, Ryback, and Neville for a while, keeping the midcard warm. But if you think he gets to WrestleMania without a Sami Zayn match, I think you’re crazy. Nick Bond: Is that the feud of the future? Andy Miller: I think that’s the next edition of “Shield reunion/feud” teases, much like the 2 decades of DX reunions and betrayals we’ve had. Nick Bond: Does he ever win the World Title? And, if so, is it as a tweener babyface or a hard heel? Andy Miller: They want him to be a hard heel, but I can see the fans turning him, whether WWE likes it or not. Nick Bond: Yeah, and that’s why he reminds me so much of Stone Cold. Stone Cold got over not in spite of himself, but because who he was connected with the fans. Which brings me to my last quesiton, and the one that will probably hurt you the most to answer: Is he going to have a better career in the WWE than CM Punk? Andy Miller: Yes, and here’s why. Punk was ego-driven. Owens is family-driven, and wrestling-driven. The guy wants to provide for his kids, and wants to be a big part of the business. He’ll outlast Punk, and he’ll be happier as he does so.